Throwback gusher, also known as #TBG, is a play on the ever-popular social media trend #TBT, or Throwback Thursday. The idea behind Throwback Thursday is to resurrect old photos from one’s past for others’ enjoyment. 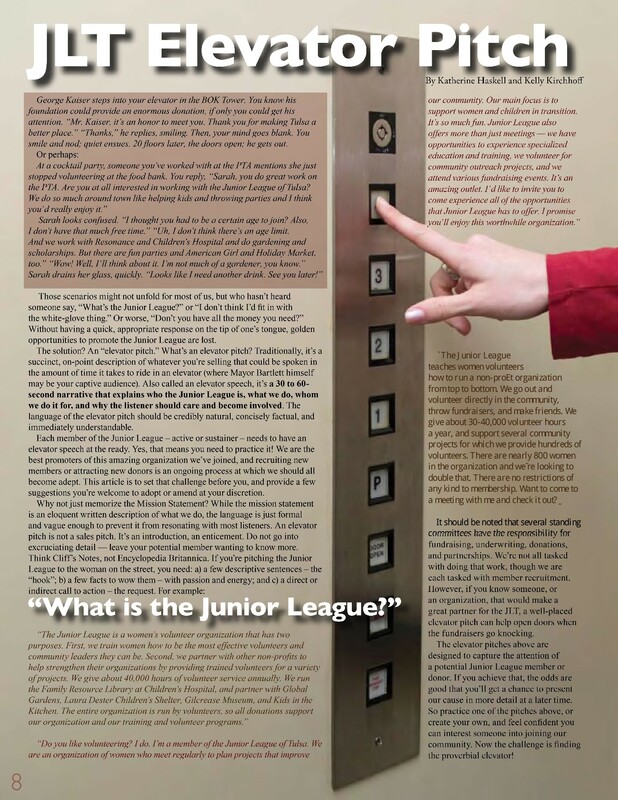 Our version, #TBG, will pay homage to old articles in past issues of gusher so that today you may see what was making news in the Junior League of Tulsa in years past.